In this paper, we introduced the computational field model and related research topics. CFM offers us a high-level abstraction of computational space of open distributed environments, where we no longer have nodes and networks but the field and floating entities. The high-level abstraction enables us to concentrate on essential aspects of dynamic computation in open distributed environments, mapping detailed structures such as processor configuration and network topologies onto abstract elements such as the field and objects. Migration is positioned at the core of the framework, and we described dynamic object grouping/diffusion scheme in the computational field. 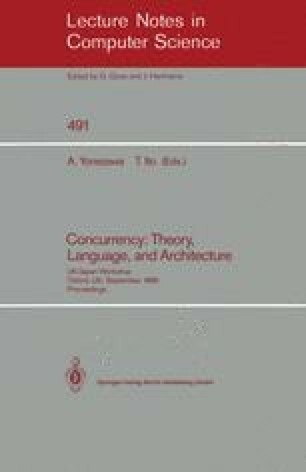 We also referred to the significance of the field notion in general concurrency theory, which shows interesting similarities and differences from Berry and Boudol's Chemical Abstract Machine. Our computational environments are undergoing radical evolution with the accelerating development of networked computers. The resulting form of computation will be quite different from what we have known until now. The new environments are both enchanting (because of its versatility and dynamism) and dangerous (because of its tremendous complexity and nondeterminism). To exploit the chances and to avoid the dangers, we need to construct a new conceptual and technological framework for software development and analysis, based on the deep understanding of the essential characteristics of the coming computer environments. Our hope is that CFM and the related works can contribute to the important methodological construction in the age of open distributed computing.